If you’re suffering from chronic back pain, your first response might be to take things easy, to simply sit and rest. Whilst this might help in the short term, in the longer term it might actually do more harm than good. Instead, you should start – and try to keep to – a regular gentle exercise routine to help your back. This is because, if done properly, exercise can help to distribute the nutrients your body needs to heal. It also strengthens the muscles supporting your spine, reducing the risk of strains and cramps. 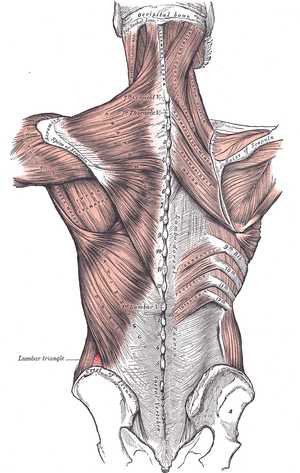 So, with that in mind, here are five of the best exercises for combating back pain. A word of caution: Ask your doctor’s advice before doing any exercise, and stop immediately if you feel any pain or discomfort. Yoga has been proven to reduce lower back pain, as it helps to redress the balance between the flexibility and strength of your muscles. There are several styles of yoga, but for back pain sufferers a gentle style, such as Hatha yoga, is best. Yoga places emphasis on alignment, which is ideal for back pain sufferers as it is very often the body being out of alignment that causes pain. Speak to the yoga teacher before you start and let them know where you feel discomfort. Many yoga exercises can be adapted to suit people with chronic back pain. Swimming is a highly recommended way of keeping muscles and joints supple. What makes it good for the treatment of back pain is that it is a low-impact activity; it does not exert high pressure on your back muscles. Swimming may not be suitable for you if you have a diagnosed spinal injury, though, as it requires a certain amount of head movement. If you decide to try swimming, there are some things to keep in mind: Firstly, keep your own pace. Don’t let others influence or chivvy you. Secondly, keep your body level and your movements smooth. Lastly, don’t stick just to front crawl. Alternate your strokes to avoid muscle strain. The way you walk impacts your back. Studies have shown that, if done with the proper technique and posture, walking can reduce back pain by up to 50%. It helps tone your leg muscles, which in turn affects your lower back. It also releases endorphins and serotonin, which help you feel better mentally and physically. So stand up straight, don’t lean forward, keep your head up and look forward. Make sure you walk properly, in a rolling motion. Your heel should strike the ground first, then roll through your foot to push off with the ball of your foot. Like yoga, Pilates has become very popular in recent years. It is a form of exercise that focuses on building core strength and improving posture through repetition of certain exercises and controlling breathing. Like many of the exercises on this page, it also focuses on the structural imbalances within the body which can lead to back pain. This helps to improve flexibility and body awareness, reducing the risk of recurring pain. Sitting at a desk hunched over a keyboard can play havoc with your back, yet many people spend a large part of every day doing just this. You should make sure that your chair, desk and computer are correctly aligned to reduce the risk of back pain. But there are simple exercises you can do at the office to ward off back trouble. For upper back pain, find a quiet corner and do some stretches. Place your hands on the wall and lean in until just before you start feeling discomfort. Do back extension exercises, which can be done either standing up or sitting at your desk. Or simply take regular breaks, get up, and walk around. If done right, one or more of these exercises could reduce your current back pain as well as the chances of it recurring in future. So try different exercises to find the right one for you and your back pain. Katie Saxon works with Get Back Supplies, suppliers of chairs for bad backs and other ergonomic products to help everyone to sit comfortably. 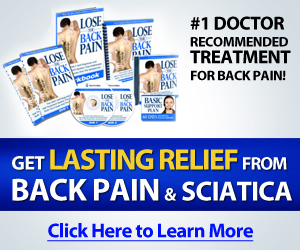 How do you reduce your back pain? Comment Below!